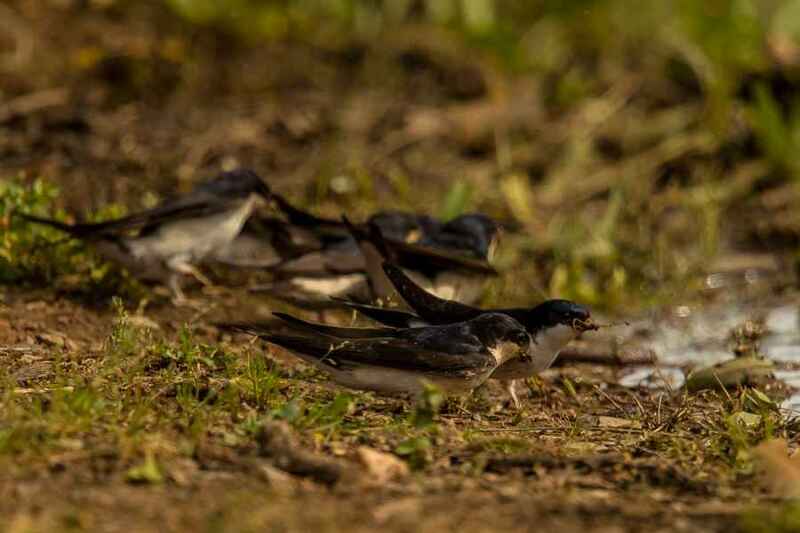 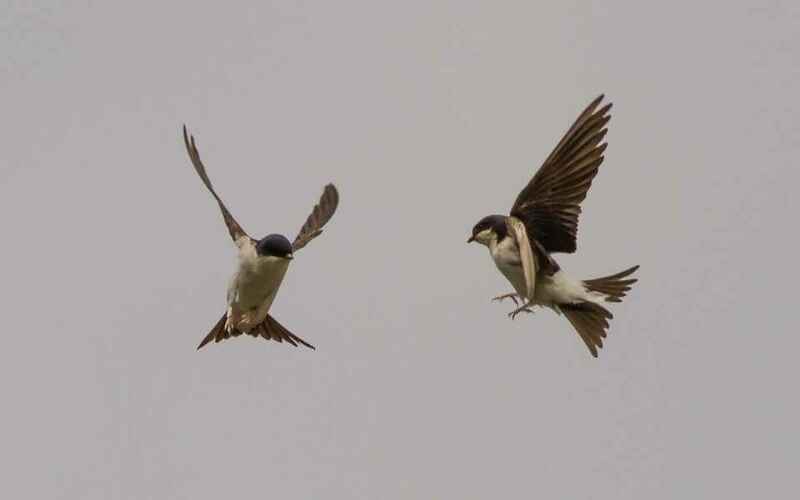 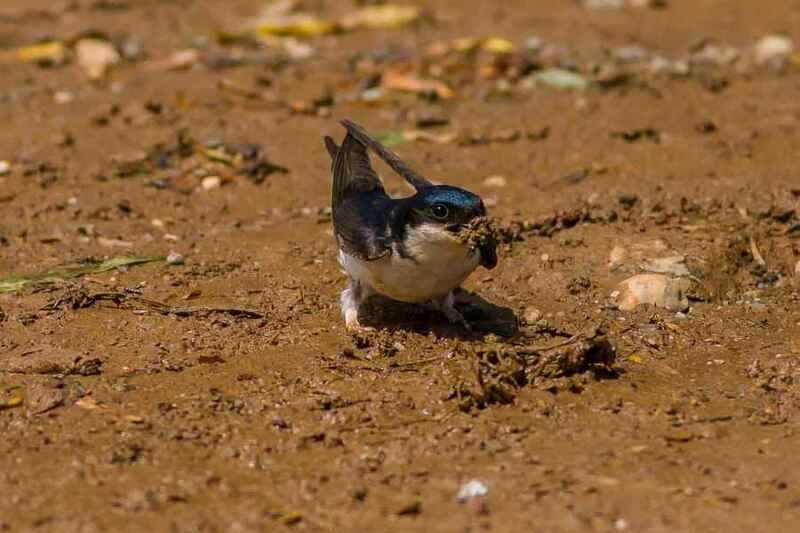 The House Martin is another summer visitor who is almost never found far from Man. 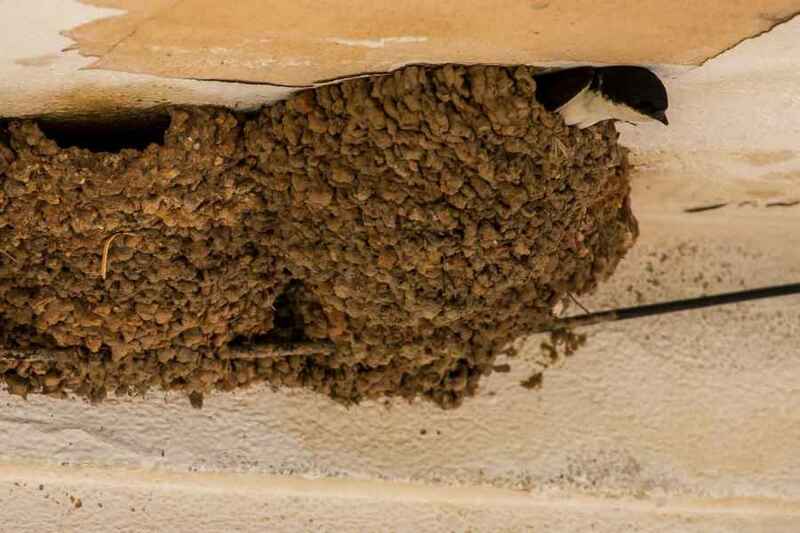 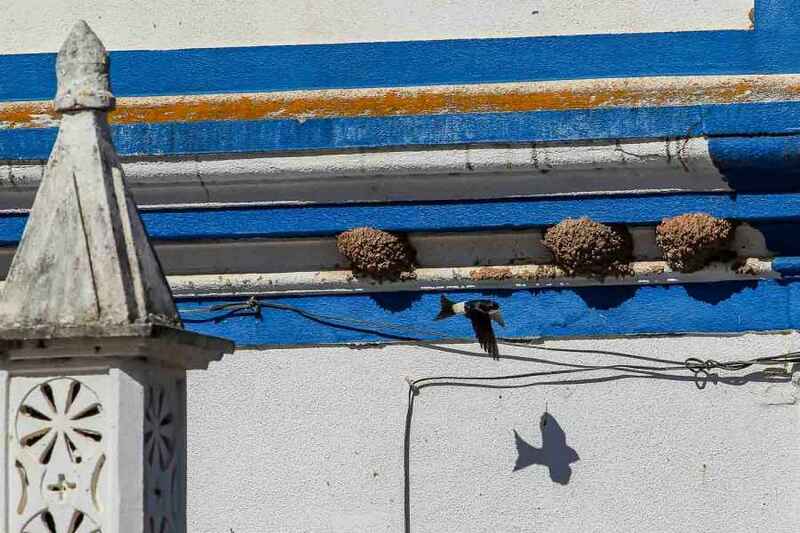 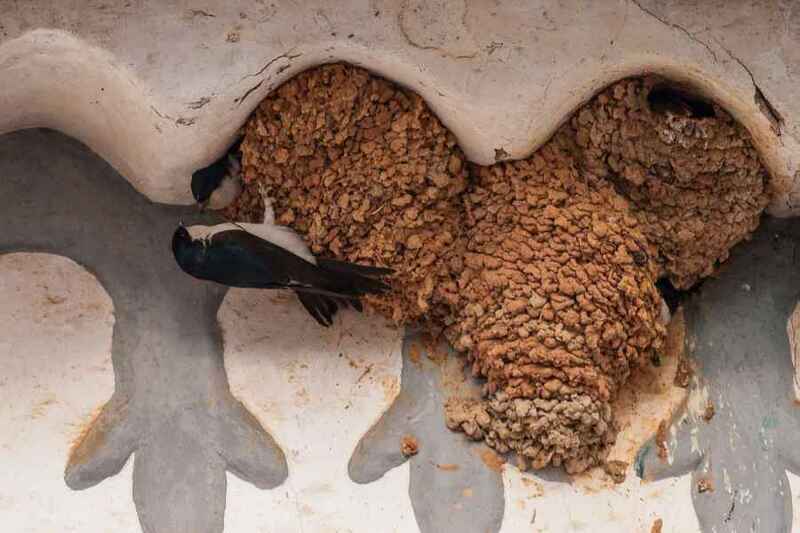 It builds a closed mud-built nest stuck to the side of a wall or under the eaves of a roof with a tiny side-entrance hole for access. 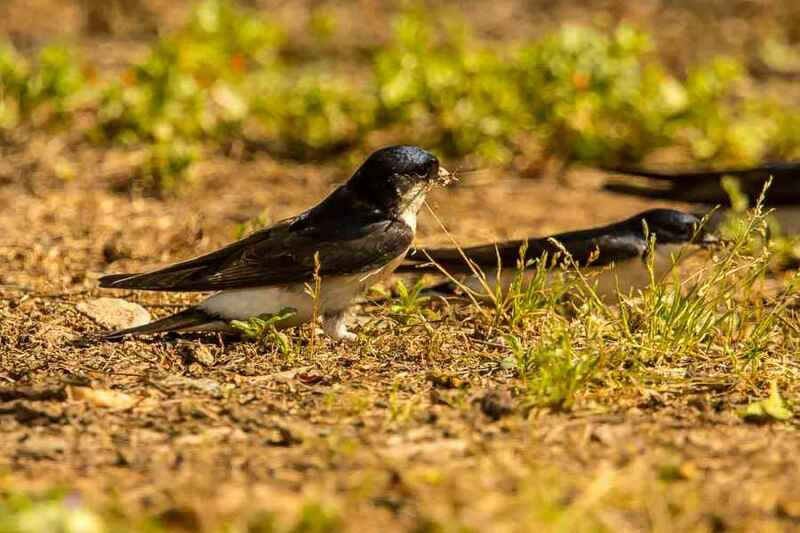 It is appreciably smaller than the Barn Swallow and, even though they often nest and feed in close proximity, lacking both the chin-strap and the long tail streamers, it is difficult to get them mixed up unless one really isn't trying!